3 ways to save money at Kirkland's stores in the U.S. More you spend, more you save. Take $10 off your purchase of $50 or more. Take $20 off your purchase of $100 or more. 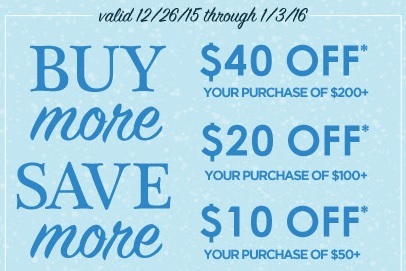 Or, take $40 off your purchase of $200 or more. To receive the offer print one or all coupons. Download coupons here. Source of the information is Kirkland's. Offer expires 01/03/2015. More details available at Kirkland's stores.